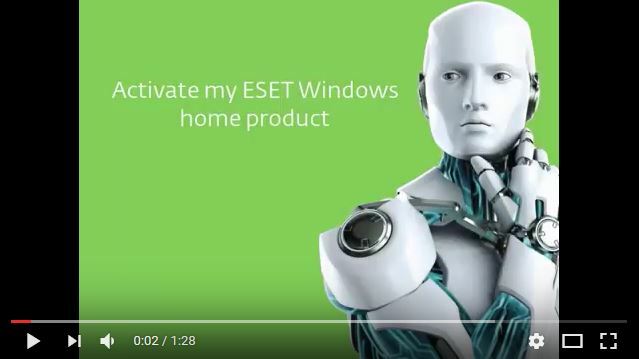 This video demonstrates how to activate your ESET Windows home product. 2. Click Help and support → Change License. 3. Type, or copy/paste, your ESET-issued License Key into the License Key field and then click Activate. Make sure you enter the License Key exactly as it appears and include the hyphens. If you copy/paste be sure you don’t accidentally select additional space around the text. Click here if you lost your License Key.